Aircraft flipped over after landing. FAYETTEVILLE, N.C. — A single-engine aircraft was doing some touch-and-goes at the Fayetteville Regional Airport on Saturday morning when it flipped on its roof during a landing, according to airport officials. 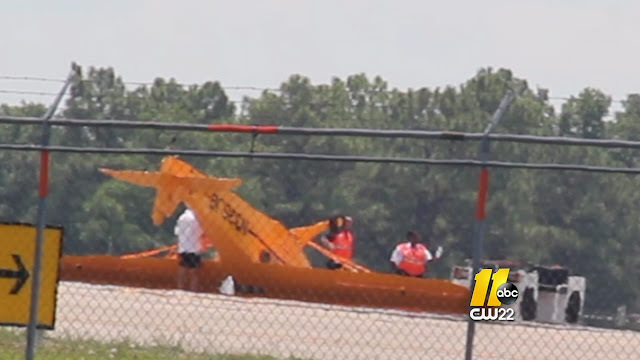 The crash happened just before 11 a.m. and disrupted commercial flights for several hours. 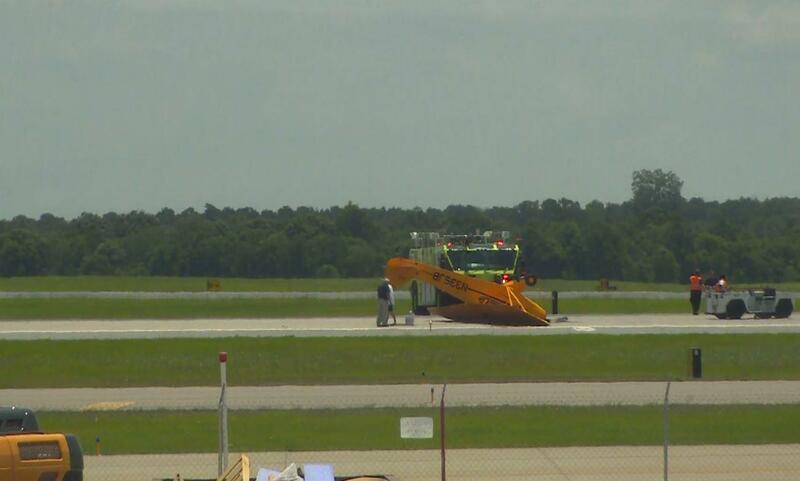 The two people on board the plane at the time of the crash were not injured, but their names have not been released, according to Toney Coleman, the airport's deputy director. Flights were halted while the plane was removed. Coleman said two Delta Airlines planes had to wait in Atlanta and one United Airlines flight had to circle the airport until everything was clear.